Christmas in Belgravia is finally here. 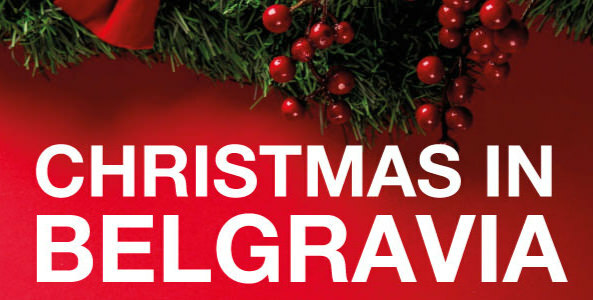 Kicking off this weekend on Saturday 2 December and Sunday 3 December, Christmas in Belgravia is set to deliver live music, Christmas entertainment and festivities for the whole family to enjoy. Various locations in Belgravia will be hosting events on Pimlico Road and Elizabeth Street. The Christmas spirit will be in full swing with a winter wonderland with Christmas lights, festive window displays, and markets. Saturday 2 December will see a Christmas celebration on Pimlico Road. The much-loved location for the Pimlico Farmers’ Markets will be transformed into a Christmas extravaganza featuring live music, Christmas entertainment and warming treats in Orange Square. Everyone can enjoy market stalls, food and entertainment on the day. Don’t miss this great way to spend the day with your friends and family. What better way to spend a Sunday afternoon than by enjoying market sellers, children’s entertainment, choirs, brass bands and delicious festive food and drinks? Elizabeth Street in Belgravia will be the family fun destination on Sunday 3 December – not to be missed! The fun doesn’t stop there. As we all know, Belgravia showcases some of the most extravagant shop window displays in the London area. Throughout December Belgravia is running a competition for the most creative, glamorous and festive Christmas window displays. To vote for your favourite window display, simply post a photo on Instagram, Facebook or Twitter with the hashtag #BelgraviaChristmasWindows.